It’s the start of the new year, which means that everyone is reflecting on the previous year. Streaming services are no different. 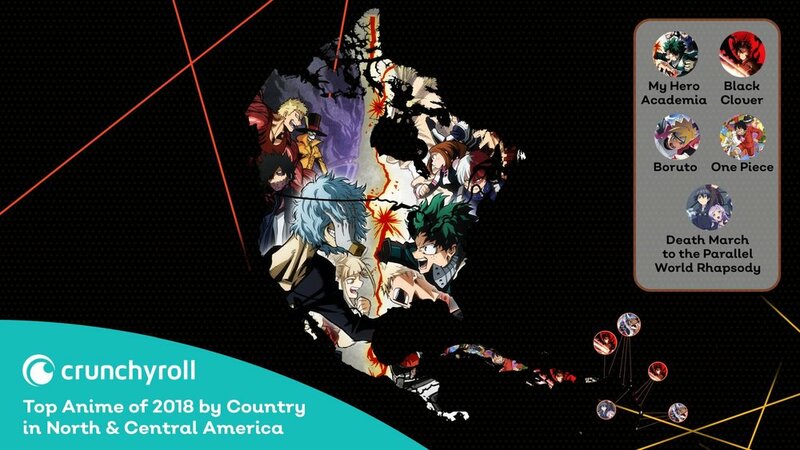 The popular anime streaming service Crunchyroll has released a series of maps that show what anime was the most popular by country. Probably the two biggest anime of the year were My Hero Academia and Boruto. Black Clover and DARLING in the FRANXX were also very popular, though, as you’ll see in the maps below. Of course, this only takes into consideration the information from Crunchyroll’s service and doesn’t include other services like Funimation. What was your favorite anime of the year?